Data storytelling is a concept that many in the Tableau community apply on a daily basis. However, for those outside of our data-focused careers or industries, the combination of data and storytelling may feel like an oxymoron. This has changed over the past few years though, as amazing stories of human accomplishment achieved using data have been told. Author Michael Lewis has become one of the most well-known data storytellers, as several of his books have been turned into Hollywood blockbusters, including Moneyball and The Blind Side. Lewis’ keynote gave great insight into the how and why of what he writes. Michael Lewis was welcomed on stage by Kelly Wright (Tableau’s Executive Vice President of Sales). Lewis and Wright dove into storytelling. The first question posed to Lewis seemed like an obvious one: why is he attracted to characters and stories, where data plays a central role? His answer caught many off guard. The theme of disruption is a core focus for Lewis in almost all of his projects. In Moneyball for example, Oakland A’s General Manager Billy Beane throws out the old subjective model of finding future star baseball players through “gut” instinct and replaces it with data. The benefit of leveraging data when being disruptive is it provides evidence that the older way of thinking is ineffective, opening the door for new ideas. Each character in Lewis’ books must overcome an antagonist that is entrenched in an old way of thinking or are resistant to change. This scenario of data supporting something new and disruptive was repeated in every example that Lewis brought up. Disruption and data are themes that resonated heavily with the audience. Another major theme that Lewis emphasized was simplicity. Writing on topics like the US stock market and entrepreneurs in the technology industry involve complex concepts and industry-related jargon. For the majority of people who enjoy his books though, this would be an immediate turnoff. His advice to avoid this? Lewis recognized that his books needed to be approachable to anyone who has interest in the character or story, not just the subject matter. In his book The Big Short, even though he committed himself to absorbing and understanding the complex material, Lewis found to effectively tell the story, he didn’t need to explain how the bond and real estate derivatives market worked, and why it eventually failed. Instead, he only had to describe their effect on the economy and his audience would understand the point. Eliminating unnecessary complexity will simplify your point and make it a better story. One in which your audience will want to be involved in. In just one hour, Lewis gave incredible insight into how he writes and why people love his stories. Any tale about the underdog disrupting the status quo and succeeding is one that many people can relate to. We at Tableau especially can and maybe one day we will have our own Michael Lewis book, later adapted into a feature film. 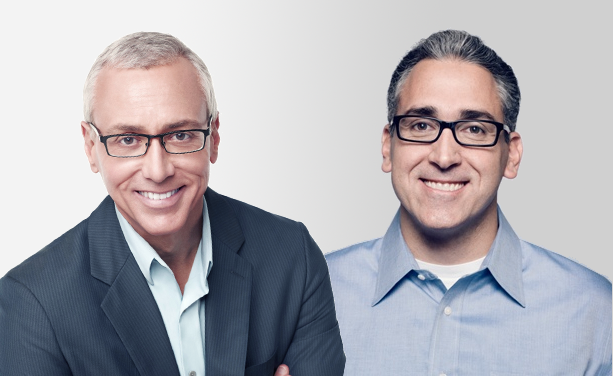 Hopefully Dr. Drew is available for the role of Tom Walker, but who would play Christian? Comment below!